× Allow your loyalty program to cover all the refunds and convert the negative impact of the situation into a bond-strengthening gift. Transform your loyalty program into a new entity by rewarding customers for active participation in your audience growth. Involve customers in all the provided activities and achieve a high level of user-friendliness for your store. Protect your store from point hunters by limiting points earned for review posting and social sharing. Apply individual approach to a customer based on their lifetime sales and see them becoming a trusted part of a family! on personal occasions, such as birthdays, holidays, etc. Guide customers through your store and organize an appealing journey. Stimulate purchases in your stores whether they happen online or offline. Make checkout practices and point application process as clear as two and two due to the integration with Magento 2 Smart One Step Checkout. 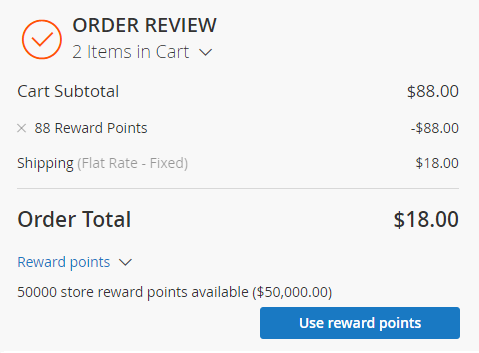 Install the enhanced functionality for paying with reward points at the checkout page. Use points as a refund material. Limit points received for sharing and reviewing. Display social share buttons on a product page. Analyze total earned and spent points. How Reward Points Magento 2 extension beat the competition? Extend the length of loyal relations and number of repeat purchases. Distinguish and reward the best and potentially most promising customers. The major intention of any tiered loyalty program is to bring customers closer to the brand and keep them loyal as long as possible. Our extension allows using customer lifetime sales to determine how fast he earns reward points. 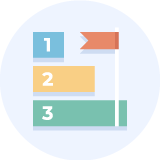 In effect, this means you can implement a Magento 2 tiered reward points system, where customers with higher lifetime sales have better rates. Additionally, you can use customer groups to differentiate between the rates. Apply different point conversion rates for existing groups or create the groups that convey any customer status, like “Retailer" or “Wholesaler”, “Local” or “International”, “Basic” or “Advanced” etc. and use them as an additional incentive for customers to come back to your store and move up in the shopper hierarchy. Both increasing status and accumulating more benefits are powerful loyalty motivators. With each purchase customers feel like they have contributed to their own benefit and it creates a sense of commitment to the store. Tiered loyalty programs allow customers to stay longer with your brand since they always feel the value of provided benefits. According to statistics, the cost to bring a new customer to the same level of sales as an old one is 4-10 times more expensive. Repeat customers spend 33% more than new shoppers and furthermore loyal customers are worth up to 10 times more than their first purchase. Generate more sales from the customers interested in your brand and products. Increase the number of loyalty demonstrations and sharings. 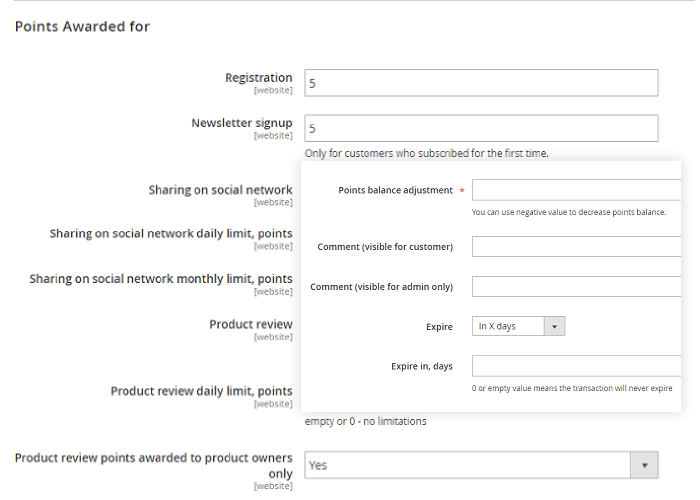 Among other activities, the Magento 2 Reward Points extension allows assigning points for newsletter signups and social media sharings. In order to build a successful marketing mix you should take advantage of both options. On average, emails outperform social media by potential and factual reach, CTR, and ROI. Combined with much better conversion rates the effectiveness of email marketing rocks, still, social media have a great potential for messages to go viral and considered to be a mid-funnel source that usually generates a lot of assisted conversions. So, when you assign points for newsletter signups, you enlarge your base of subscribers and increase sales. And, if you provide points for the activity in social media, you get new traffic and make your brand better visible and known. The combination of both activities will bring the maximum effect. We advise you to assign significantly more points for Magento 2 newsletter registrations in order to obtain more direct conversions and develop the subscribers base. Meanwhile, social sharings can also be a great source of additional points for your customers, especially that this source is reusable for them. So, offer only few points for social media sharings and motivate customers to set it as a regular activity in your store. Raise active and engaged users from the outset and motivate new customers to make their first purchase. According to Nunes and Dreze, those customers who have no need to start something from scratch, including customer reward programs, are mentally motivated much better. In the provided experiment, customers had the same distance of 8 car washes to pass before they got a free one. But, those customers who had two pre-filled card slots out of 10 ones had nearly twofold increase in the loyalty rate than the ones with 0 pre-filled slots out of 8 ones. 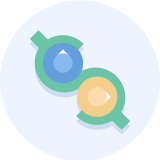 The same thing, a starting balance of points provided during the registration is able to increase the number of persistent Magento 2 reward points program participants that are able to reach the second and third levels of the offered points system. Getting and spending the received ‘starting’ points your customers certainly become more loyal and will come closer to the next level of the tiered loyalty scheme segmented by lifetime sales values. Make your products more trustworthy, allow customers to be sure about their choices and make sales confidently. If social shares attract new visitors and newsletters generate sales from existing customers, product reviews allow customers to make sure that the purchased products meet all their requirements and are a really smart choice. According to statistics, 61% of customers read reviews and 63% of shoppers are more likely to make purchases from the stores with product reviews. And, do not neglect bad reviews as 68% of visitors trust reviews if they see both positive and negative ones simultaneously. The Reward Points extension is able to motivate more and more new customer reviews that are going to further improve attitude to products and promote sales. As far as each product needs to have as more reviews as possible, the number of assigned points for this activity should be enough for one review, but not too large making customers to write them again and again. Make more sales through effective rewards of customers on their best lifetime occasions. The traditional way to charge Magento 2 loyalty points for purchases is too ordinary and is not able to produce a ‘WOW’ effect, which is very important for strong credibility, new social sharings and additional sales. You need to surprise customers in order to step outside the endless line of similar sellers and make them feel a special person. The good thing is that, according to statistics, only 11% of loyalty systems offer personalized rewards. Using the Reward Points backend functionality you can reward one or several customers on some great occasions, including birthdays, major holidays, best customer monthly awards. The rewarded customers become more loyal, stay with your brand for a long time, recommend it to their friends and purchase from you more. Motivate visitors to purchase allowing them to see the reduced price they can have with their points each time they are on a product page. Reward points work two ways. On one hand, customers enjoy their purchases a little more because they accumulate points. On the other hand, customers are inclined to purchase more since they have some points to spend. This second half is why we think it is important to keep customers continuously aware of how many points they have. In order to achieve this effect we suggest to activate a corresponding display option from the extension settings. 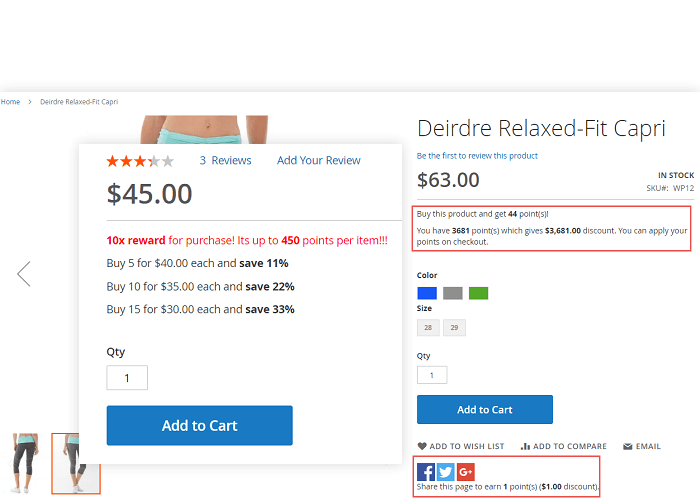 This option displays product price discounted with points next to the original price of the product, edging a customer closer to making a purchase. Proven by statistics, 80% of customers are value-seeking shoppers, described by themselves as ‘promotion sensitive’. So the opportunity to display reduced prices is a must-have functionality appreciated by most of the consumers. The functionality displaying final discounted prices is able to increase conversion rates and sales greatly as far as more than 50% of all customers are factually influenced by deals or discounts, according to the latest researches. Custom rates define how many points are given per dollar amount spent and how much each point is worth. Let you notify customers of the points expiration date urging to place orders. 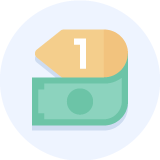 Decide what % of the product price can be covered with points and set the minumum point balance to redeem. Different number of points may be earned depending on customer's’ lifetime sales. Additional points may be earned on such activities as registration, newsletter signup, social network sharing, and product reviews. Limits may be set for earning points by social network sharing and product reviews. Extension tracks all of the point transactions and point balance of each customer. To help you migrate from other reward solutions and make sure you have all the balances offline. As a result of the integration, customers are able to use their reward points on the checkout page built by the Smart OSC extension in order to pay for their purchases the same way as they can do it on the default Magento checkout page. To comply with tax regulations restrict paying taxes and shipping amount with points. Keep cash to the store and refund orders to points increasing customer's loyalty. Admin may adjust point balance manually for one or multiple customers. Admin may forbid point transactions at certain categories. Social network buttons may be added to the product pages. A separate page may be set up for explaining how the reward program works. A “Reward Points” tab is added to the client area for tracking transactions and current balance. Aheadworks have developed a great module to incentivise customers returning to your store. Their support is superb and they always go out of their way to assist you. The new feature to reward points of category rules is great to allow you to control those categories which don’t yield such a great return. Reward Points is great and useful extensions. I like to work with Aheadworks. Also, the Support team works fast and perfectly! 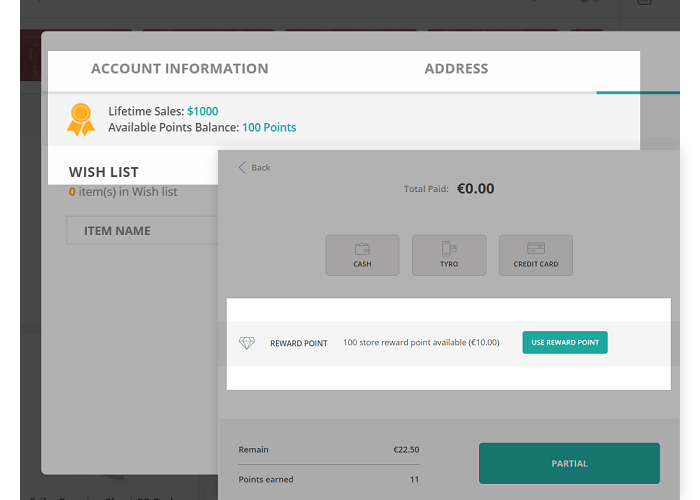 A powerful tool with a very useful import option, we chose AW instead of our old reward module and were able to transfer customers balances to our new store without any troubles. Now we are totally happy with our reward system. I usually prefer to buy from you guys as my preferred extension provider, so I feel bad when you don't have what we need. For now it is only 4 stars, will make it 5 after you add reward rules as promised. With this feature the product will be perfect! I like the extension and It works really well just as advertised. it's easy to install and setup. Support is awesome! I can recommend to anyone who's looking for a good quality reward points system. Good job! We have installed this extension and everything seemed to be working perfectly (except one issue). As always the problem was solved very quickly by Support Team. A great tool to keep existing and attracting new customers. Sharing on social networks, the feature I missed in previous versions, is added and makes me fully satisfied with the extension. I had been waiting for its release for quite a long time. Finally, I got it! And I am more than satisfied with this extension! I like the way you can build a reward program for customers and encourage them to share links or purchase more. Lifetime sales feature is a good stimulus to keep loyal clients of your store. Social sharing is also a good feature to promote your store in the net. And I like the way the rewarding is displayed at the frontend when a customer can see the price discounted by the points available. What can I say? Great job, Aheadworks! Thank you for your professionalism!